Exclusive Brand: Clou Beaute. Item Type: Soak Off UV Color Gel Polish. Ingredient: Harmless resin.Volume: 15ml/0.5fl.oz. Cure:UV Lamp Or Led Light. Applicable:Chic Fashionable People,Nail Artists,Nail Art Lovers,Beauty Lovers,Manicure Salon,etc. Directions: 1. Cover entire fingernail with a thin layer of base coat using a brush. It is recommends outlining the outside fingernail with a cuticle pusher to make sure that the gel does not get on the skin. Repeat the process on each fingernail. 2. Cure in UV Lamp for 1 minutes or Led lamp for 30 seconds. 3. Apply Clou Beaute Color Gel Nail of choice. Lightly brush from cuticle to free edge just like polishing a nail. Apply a thin even coat. If you apply too thick you risk an improper cure. 4. Cure in a UV Lamp for 2 minutes or in led lamp for 1 minute . 5. Apply a second coat of Clou Beaute Color Soak Off Gel Nail again. Use a thin even coat just like polishing a nail. 6. Cure in a UV Lamp for 2 minutes or led lamp for 1 minute. 7. Apply a UV Gel Top coat. 8. Cure in UV Lamp for 2 minutes or led lamp for 1 minute. Note: Due to different lighting and screen, the actual color might be slightly different from the pictures. 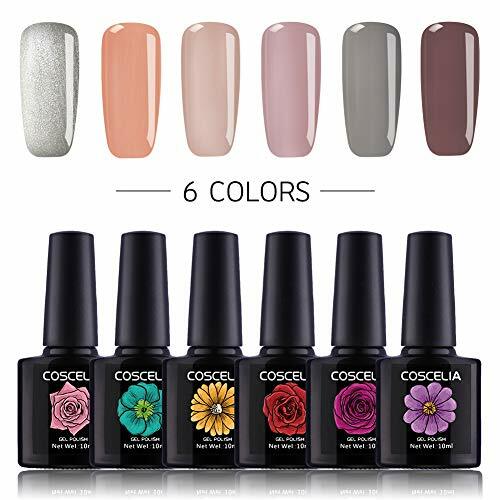 Exclusive Brand: Clou Beaute Item Included: 8Pcs x 8ml Color Gel Nail Polish. Ingredient: Harmless resin.Volume: 8ml/0.27fl.oz. Cure:UV Lamp Or Led Light. Applicable:Chic Fashionable People,Nail Artists,Nail Art Lovers,Beauty Lovers,Manicure Salon,etc. Directions: 1. Cover entire fingernail with a thin layer of base coat using a brush. It is recommends outlining the outside fingernail with a cuticle pusher to make sure that the gel does not get on the skin. Repeat the process on each fingernail. 2. 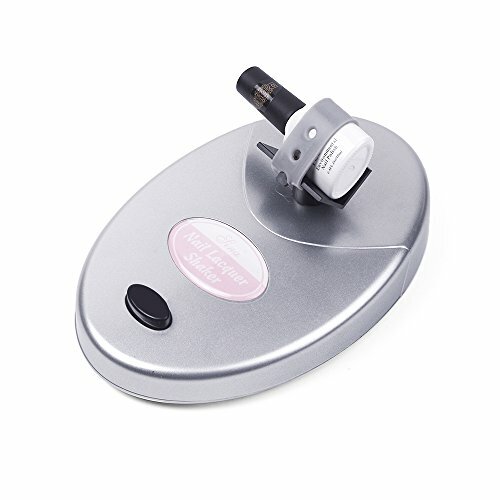 Cure in UV Lamp for 1 minutes or Led lamp for 30 seconds. 3. Apply Clou Beaute Color Gel Nail of choice. Lightly brush from cuticle to free edge just like polishing a nail. Apply a thin even coat. If you apply too thick you risk an improper cure. 4. Cure in a UV Lamp for 2 minutes or in led lamp for 1 minute . 5. Apply a second coat of Clou Beaute Color Soak Off Gel Nail again. Use a thin even coat just like polishing a nail. 6. Cure in a UV Lamp for 2 minutes or led lamp for 1 minute. 7. Apply a UV Gel Top coat. 8. Cure in UV Lamp for 2 minutes or led lamp for 1 minute. Note: Due to different lighting and screen, the actual color might be slightly different from the pictures. Sparkle meets shine with the vibrant colors of The SHANY Glitter Collection. 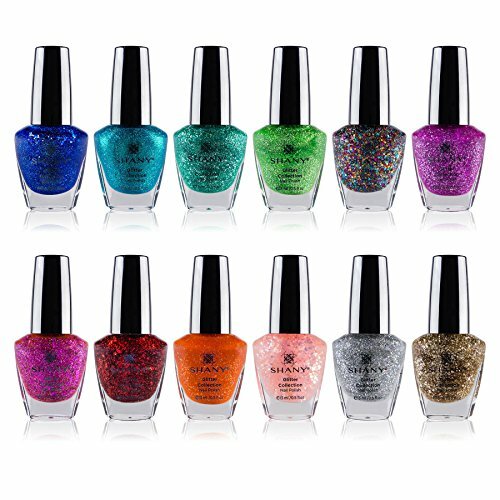 This glitzy nail polish set includes 12 twinkling shades that are every shade as fabulous as you are. The spirited colors include royal purple, sassy silver, glam gold, cheeky red, and other trendy hues that remind you glitter is always a good idea. These shades have wonderful pigmentation and can range from medium to full coverage. Each nail polish is buildable and bubble-free. The polishes come in semi-glossy, glittery, and metallic finishes. Looking for more Polish Varnish similar ideas? Try to explore these searches: Border Terrier Dog Figurine, Gravis Flip Flops, and Crystal Transparent Necklace. Look at latest related video about Polish Varnish. Shopwizion.com is the smartest way for online shopping: compare prices of leading online shops for best deals around the web. Don't miss TOP Polish Varnish deals, updated daily.